Bloodthirsty and brutal, Mannoroth was Archimonde’s most feared enforcer, until he was felled by a mighty blow from Grommash’s blade. Even in death, his blood was used by Gul’dan to fuel a dark bargain with the Iron Horde and their allies. Gul’dan and his minions now seek to reanimate the shattered remains of Mannoroth so that he may continue to serve the Legion. This fight is to stop the ritual of resurrecting Mannoroth and if failure, kill him. 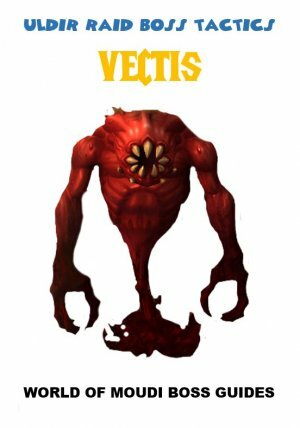 Players will start the fight with attacking a bunch of summoners and Legion mobs. Then finally attack Mannoroth that achieves power from Gul´dan and the Fel Spires during the fight. 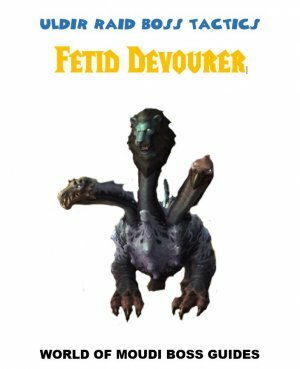 Furthest down you will find the abilities the boss and ads do. * Each Spire has a summoner standing in front of it. * Phase 2 starts when all 3 summoners are dead. * The color on the 3 Fel spires represents a portal that summons Fel imps, Infernals or Doom Lords. * Players cannot control what will come out from the Fel spires. 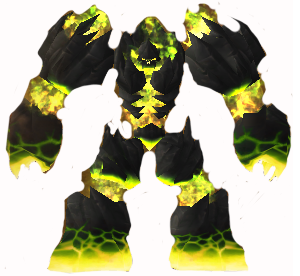 It´s Gul´dan and Mannoroth that breaks a Fel spire at start of each phase in which Doom Guard portal gets destroyed first, then Fel Imps and last Infernals. Players should spec according to more AoE dmg. In phase 1, Warlocks should make a portal in the first Fel Spires to the purple one for faster stacking on purple summoner. In phase 2-4, Warlocks should make a portal in the middle were raid are stacking to the outer side to avoid boss aoe dmg faster. When stacking, do a soft stack, 3y apart (which is very little) so players don’t get dmg when adds are summoned. The raid splits in two groups, Group 1 and Group 2. Each group has equal amount of tanks, healers, ranged and melee dps. Each group soft stacks on the left side of the summoner. Start the encounter by nuking the two summoners (On green and red Fel Spire). When ads spawns, ranged moves out and melee moves to the right side of the summoner. AoE the ads fast and go back to the summoner to finish him off. 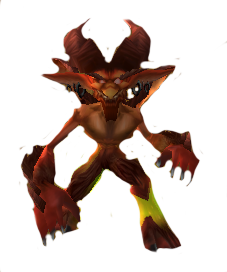 The player that is affected by Curse of the Legion gets ready to move to last summoner so the Doom Lord spawns there, and do not decurse. Players that are affected by Mark of Doom runs to the Fel pool in the middle to remove it. (If expired by is self the player will die). After summoners are dead run fast to the last summoner and stack on his left side. Tank and nuke the Doom Lord on top of the last summoner for cleave dmg. Always interrupt him! When ads spawn, spread out a bit and AoE the ads then soft stack again do so until last summoner is dead. If Infernals are positioned on raid, then move the entire raid sideways (have a player marked to stack on) and burst down that add. After Summoners are dead on both sides. Group and Group 2 goes to Star, were last summoner is and do the same tact there; stack on summoners left side, and move away when adds spawn. And back in after they are dead. After all summoners are dead, the entire raid goes to diamond in which phase 2 will start. The summoners are dead but Mannoroth is alive, but not in his entire shape. Gul´dan (which is immune) is flying above and will help him gain his real shape and power. Mannoroth destroys the Fel Spire that summoned Doom Lords so no more of them now. Entire raid soft stacks behind boss and have a person marked for stacking when raid moves. The player tanking stands with his back on purple pillar because boss does knockback on main target. 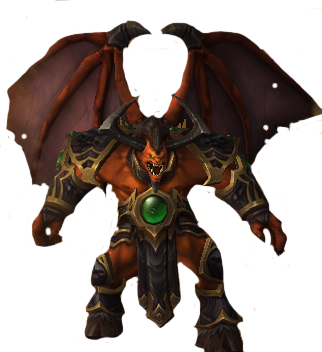 Players affected by Mannoroth´s Gaze will be feared, so entire raid moves with players that have Mannoroth´s Gaze. Since players are stacked from start, this part is over fast, meaning you can decurse directly. Adds spawns here as well. 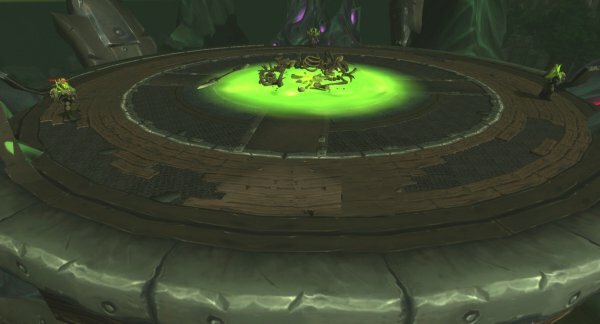 The setup of spawns for each spawn time is either only Fel Imps or only Infernals. The Entire raid moves out when adds spawn, Aoe them and then back in again after they are dead. Always keep stacked when there are no adds. Entire raid moves far away when boss does Fel Seeker, then moves back in stacking together again on diamond. Phase 3 starts when Mannoroth has 60% Hp Gul´dan has fixed so Mannoroth has his real shape again and with that comes more power. Mannoroth destroys the Fel Spire that summoned Fel Imps so no more of them now (thank god!). 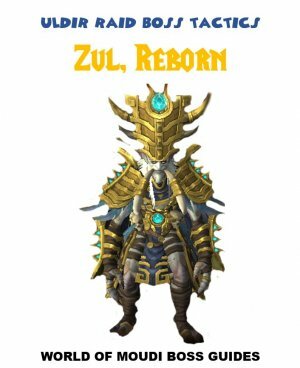 This phase is like phase 2, without Fel imps, and with an extra ability called shadowforce. Positioning will be moved from diamond to the exact middle of the platform since Mannoroth does Shadowforce and pushing players out of the platform. Use all kinds of spells your classes have to help the raid stay on the platform. Phase 4 starts when Mannoroth has 30% Hp. Gul´dan has now given Mannoroth all his power back and now Mannoroth is fully back from the dead, but not for long. Mannoroth destroys the Fel Spire that summoned Dread Infernals so no more of them now (thank god!). 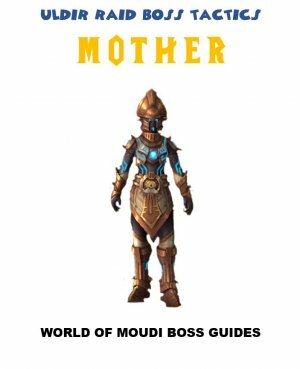 Turn the boss so he faces middle but don’t move him closer to middle. The knockback blast boss does also send out shadow waves. So when the tank gets a knock back, that player also needs to avoid the shadow waves. Same as before, tank swap at each knockback. Move the boss sideways (clockwise) after each Empowered Mannoroth´s Gaze and remember to have him facing middle when not moving him. Only 1-2 players’ runs to each player affected by Empowered Mannoroth´s Gaze since it will created a shadow pool in which the size is dependent on amount of players sharing the dmg. Healers use defensive cooldowns on players affected by Empowered Mannoroth´s Gaze. And players that are running with the affected players, use defensive cooldown as well. Make sure you don’t have a gray shadow pool behind you or close to the edge behind you before each Empowered Shadow Force. 2 types of mobs are jumping out of from the Fel spires; Fel Imps and Dread Infernals. When landing, they do AoE fire damage on the ground. The last spire puts a curse called Curse of the Legion on a player. When removed or expired it does very high shadow damage on that player and a big Doom Lord will be summoned beneath that player. Doom Spike, stacks on the player it hits (tank). When expired, each stack does low/moderate shadow damage. Tank swap at 5 stacks. Mark of Doom, marks a player with Doom which does moderate damage to a player when taking any type of damage. This damage also goes to players within 20 yards. Run to the middle further away from raid so they don’t get hit and touch the pool in the middle so you get damaged. Then run back to you position again. Shadow bolt Volley, does an AoE damage to all nearby enemies. This has to be interrupted, no excuses. Phase Blink occurs when the Fel Imp reaches full mana and makes the Fel imp teleport to a random location. When summoned (which should be more or less on top of each other, see tactics) they have to be AoE damaged fast before they blink away. Fel Streak, which is a charge on random location (not player). Players that are 8y close to that location gets moderate dmg. Fel Hellfire, is an AoE pulsating fire within 10 yards from the Infernal. Players hit by it gets moderate dmg every second for 10 seconds. Melee only attacks when there are no AoE fire damage. Tanks handles the Doom Lord. Tank swap at every 4-5 stack of Doom Spike (which does around 50k dmg on each stack). No more Doom Lords, “Only” Mannoroth. Inflicts something called Puncture Wound (which can be prevented by Active Mitigation) that does moderate damage every second for 10 seconds. Does High/deadly Shadow damage with a knockback effect. Same time making the tank taking 300% more shadow damage for 45 seconds. Basically tanks have to use defensive on Glaive Thurst and tank swap after every Massive Blast that occur after every 45 seconds. Basically tanks have to use defensive on Glaive Thurst. Tank swap after every Massive Blast that occur after every 45 seconds. Mannoroth Channels this ability which pushes players out of the platform and does shadow dmg over time as well. Players have to use spells to prevent being pushed back. Also use spells that prevent other players being pushed back. Mannoroth creates a storm on a certain location that does low/moderate Fire damage within 30 yards. On Empowered Fel Hellstorm the radius is increased overtime. 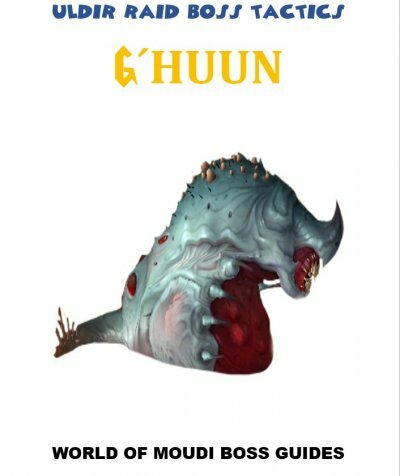 Run away from it but be stacked in a group every time you run away. Mark a player to follow and decide direction. 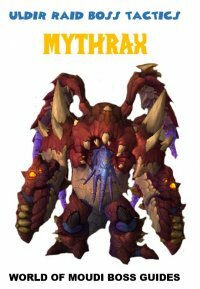 Mannoroth targets players (more players are targeted the bigger raid) which will Fear for 8 seconds. Also it does shadow damage when removed split among players. A player will die if alone on this. On Empowered Gaze, when removed and damage splits on the players inside the circle it creates a Shadow Gaze pool that does damage. And the more players that are splitting the damage, the bigger the pool will be. 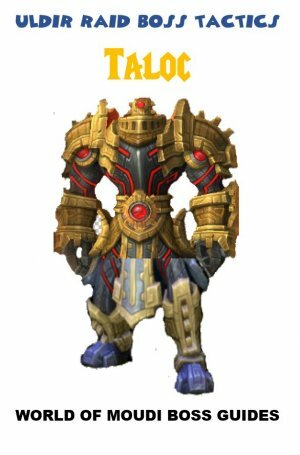 Raid should already be stacked when this happens. Run with the feared players and remove curse, split the damage and run back and stack. You can see how close you have to be since there is a circle around affected player. On empowered Gaze, Have only 1 person running with each player getting feared. Use defensive CD´s and help those players with defensive CD´s. Mannoroth creates a blast on a location, This blast does very high damage on impact with a large radius. Then it does an after blast with high damage but medium radius. Then it does another after blast with medium damage but small radius. Empowered Felseeker does even more damage depending how far you are from impact, even when you are outside the radius. Raid run away fast from this and then back fast and stack. 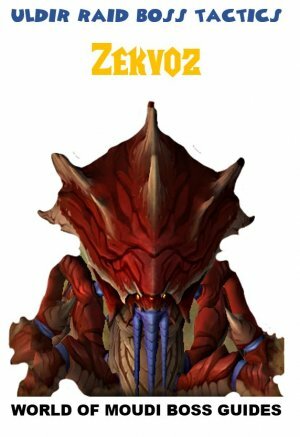 On Empowered FelSeeker, run away fast and stay outside the first radius until all three are done before returning to the middle.